Not that I'm making fun of Apple, I would never do that!! But when your new iPad comes in the mail, you're going to need a big pocket to take it around town. 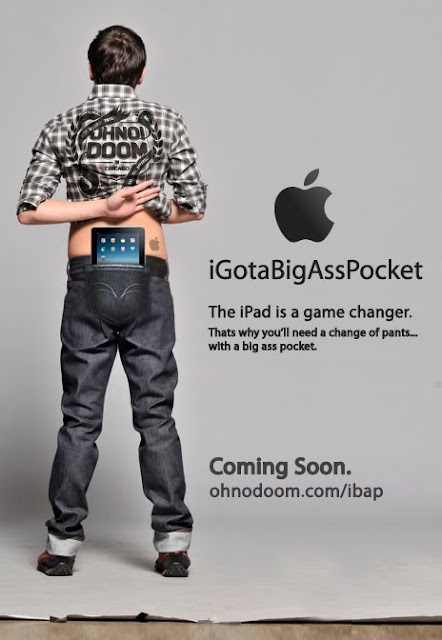 Coming soon, OhNo!Doom (and Apple) bring you the, iGotaBigAssPocket product line.